Between leftover Halloween candy, Thanksgiving feasts, baked office goodies, holiday parties and New Year’s Eve cocktails, there’s ample opportunity to consume copious amounts of food. That is, if you’re not paying attention. Let’s face it, the excitement and stress of the holidays can do a number on our eating habits, leaving us feeling less than our best selves. The sheer amount of mindless eating, whether binging or socializing, can lead to increased blood sugar levels and unwanted weight gain. Rather than waking up in the new year feeling sluggish, heavy and guilty, try practicing mindfulness when eating and drinking this holiday season to help combat unhealthy and unsatisfying habits. Rooted in Buddhist meditation, mindfulness is the ability to stay fully present with open awareness to your immediate experience. It’s the practice of actively paying attention to your surroundings, thoughts, feelings, bodily sensations and behavior moment to moment without judgment or reaction. It’s simply witnessing everything taking place internally and externally with lighthearted curiosity, compassion and kindness. And it’s a particularly great tool for overcoming unconscious, habitual eating as well as those highly charged emotional triggers around food during the holiday season. When we pay attention to what we’re eating, and when, we can begin to make conscious decisions around food that can make a big difference for our health and happiness. Mindful eating is the act of staying fully present, paying purposeful attention to every aspect of the food you’re consuming—the texture, taste, smell, temperature, appearance, even sound (crunch! )—including how satisfying it is on a moment-to-moment basis. Mindful eaters are aware of why they feel like eating, when they are hungry, how they feel throughout the meal, how certain foods affect their emotions, where their food came from, and what foods support their current health and wellness goals. They also know of and reflect on the effects of mindless eating. “The core principles of mindful eating include being aware of the nourishment available through the process of food preparation and consumption, choosing enjoyable and nutritious foods, acknowledging food preferences nonjudgmentally, recognizing and honoring physical hunger and satiety cues, and using wisdom to guide eating decisions,” explains mindful eating expert Cheryl Harris, MPH, RD. Approaching food with mindful awareness can help you begin to recognize your unconscious tendencies and habitual patterns around eating and drinking, helping to reduce emotional eating, mindless snacking and binging. Rather than falling prey to automatic, often emotionally driven, behavior, being aware of your relationship with food allows you to make more conscious decisions about what you choose to put in your body. In time, you begin to untangle your emotional issues around food as you learn to recognize personal triggers, as well as your body’s internal hunger cues and personal preferences. You not only learn to eat when you’re hungry and stop once you’re sated, but you also gain an understanding of how food affects your mood and energy throughout the day. Plus, the experience of eating becomes more pleasurable as you learn to appreciate the sensual and nutritional qualities of food. While a formal mindful eating meditation is an impractical demand during the holiday season, you can still practice moments of mindfulness throughout any meal or festivity. Set the intention to pay attention ahead of time, and avoid mindless eating the best you can this holiday season with these mindful eating tips. When you first sit down, take a break from socializing to become present and grounded in your body. Become aware of the bottom of your feet against the surface that they are touching. Pay attention to the tiny sensation as well as the warmth or coolness you feel. Feel free to do the same with the backs of your legs, noting how they feel against the seat of your chair. Take a deeper breath and let yourself sigh, relaxing your shoulders and consciously releasing the muscles of your jaw. Notice the way you feel, paying attention to any physical sensations of hunger or the desire to eat at all. Are you hungry or thirsty? How hungry are you? Acknowledging how hungry you are before loading your plate not only will help with portion control, but you’re also more likely to pay attention to how you’re feeling throughout the meal (stopping when you get the signal). Before helping yourself, step back and survey the entire spread. Take a moment to appreciate the presentation, colors and composition of each dish—without interpreting its nutritional value. Then make a game plan based on how hungry you are and how you want to feel later. Start with a few small portions of the foods that you truly enjoy eating and continue to check in with your body. Eating is a sensual experience. Don’t just taste your food, engage all senses to enjoy all its nuances. Notice the smells, colors, textures, sounds and flavors, savoring the first few bites of each new dish. Give yourself time to truly enjoy and appreciate what you’re eating rather than rushing on to the next bite. A crucial components of mindful eating is compassion. Mindfulness is synonymous with nonjudgmental awareness (accepting the present moment as it is). Mindful eating isn’t about always making the healthiest decisions; it’s about engaging your senses and being fully present to the many nuances of food and the sensations, thoughts and emotions that arise as you eat. People who choose to eat mindfully are encouraged to explore their own inner intelligence in regards to food, to understand that eating is a unique experience, and to accept their personal preferences without judgment or self-criticism. The truth is that addressing old habits and ceasing mindless eating is hard. It takes time and curiosity to become aware of our habitual behaviors and emotional triggers—changing them requires the room to be human and a great deal of compassion. Beating yourself up for overindulging will not help you become more mindful the next meal. 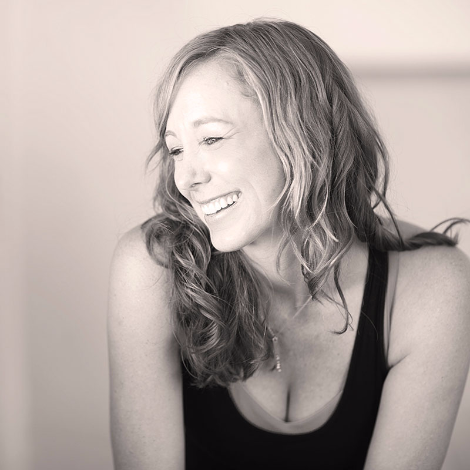 Meagan McCrary is an experienced yoga teacher, freelance writer and author of "Pick Your Yoga Practice: Exploring and Understanding Different Styles of Yoga". She has been featured in Yoga Journal, Om Yoga Magazine, Mantra Yoga Magazine and Sweat Equity Magazine, and regularly contributes to YogaUonline.com. Highly knowledgeable in biomechanics and posture alignment, as well as restorative yoga practices, she has a passion for helping people find more ease, comfort and functionality in their bodies through a variety of modalities. Living and teaching in Southern California, Meagan teachers and works with a variety of clients specializing in yoga therapeutics, postural awareness, pain relief and prenatal yoga. You can also join her on one of her popular retreats.